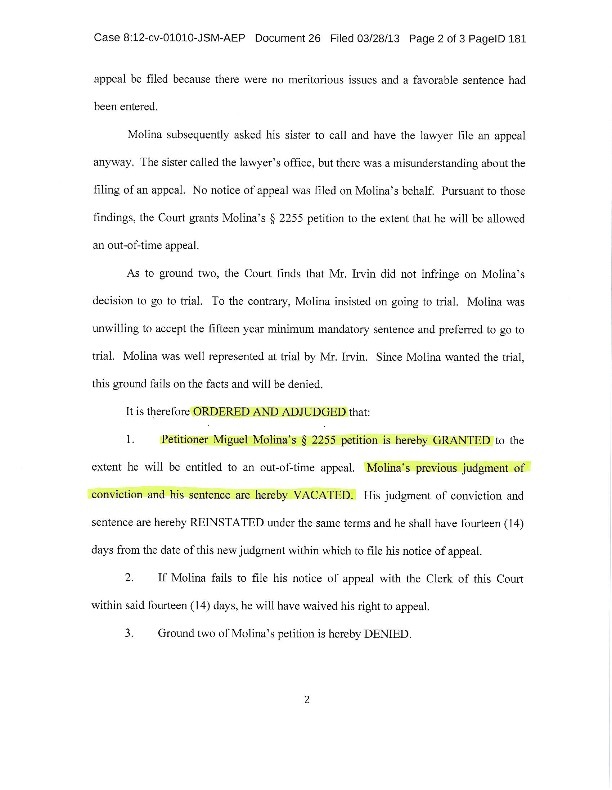 2255 Background: Mr. Molina was found guilty at federal trial while represented by different counsel. 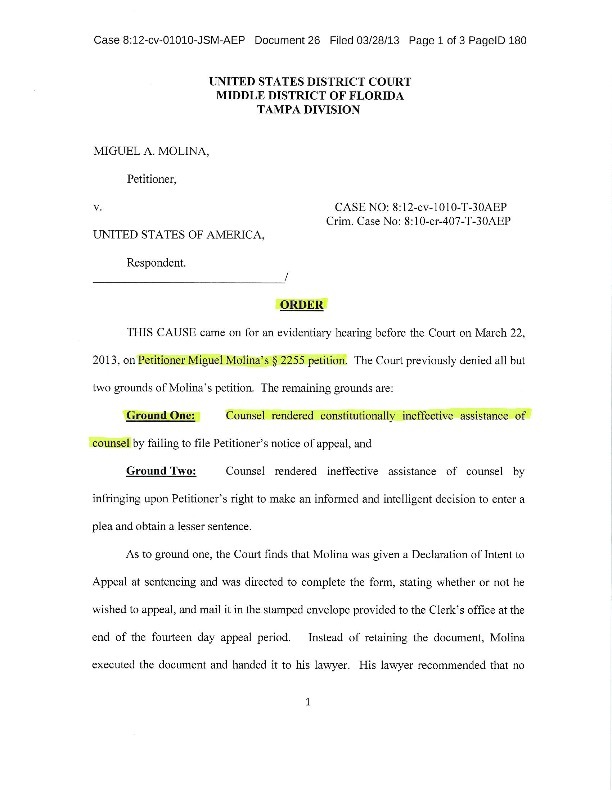 Mr. Molina filed a 2255 motion against prior counsel alleging ineffective assistance of counsel. 2255 Result: 2255 motion granted on March 28, 2013. Attorney Tim Bower Rodriguez handled the evidentiary hearing. 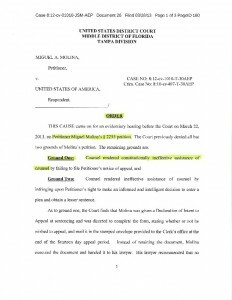 After cross examination of prior counsel, District Court Judge Moody ruled that prior counsel was ineffective and granted the 2255 motion. 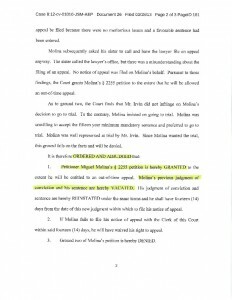 Below is a copy of the order granting our client’s 2255 motion and vacating his sentence. 2255 Result: 2255 motion granted on March 28, 2013. Attorney Tim Bower Rodriguez handled the evidentiary hearing. Get help now. Our experienced federal attorneys are ready to evaluate your case. * Disclaimer: The use of the Internet or this form for communication with the firm or any individual member of the firm does not establish an attorney-client relationship. Confidential or time-sensitive information should not be sent through this form. The information you obtain via this website is not, nor is it intended to be, legal advice. This website is designed for general information only and you should consult an attorney directly for advice regarding your personal situation. Receipt or viewing of information on this website, or corresponding via contact form, email, or other methods does not create an attorney-client relationship.